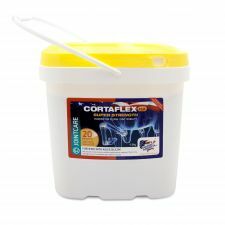 Cortaflex with Hyaluronic Acid HA has been specially formulated for horses with joints that have experienced excessive wear and tear and for horses which are competing or in hard work. This new product developed by Equine America is a combination of High Strength Cortaflex and Super Fenn. 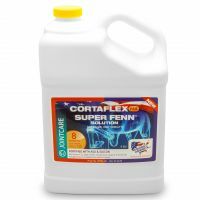 The Cortaflex has been shown to aid joint lubrication and the Super Fenn is a natural anti-inflammatory. It is one of the very few products on the market without Devils Claw. This combination is great for both competition and leisure horses, with Super Fenn reducing inflammation from every day knocks and strains, and Cortaflex High Strength for everyday joint mobility. Fortified with Hyaluronic Acid, Cortaflex® Powder economically and effectively supports and maintains healthy joints, whether it is the childrens' pony ridden daily, teenagers competing at riding clubs or mum's daily hack. Use Cortaflex to keep your horse or pony's joints healthy throughout its life. Regular Cortaflex® combined with Better Bones will ensure a sound joint and bone structure for both young and old animals. New improved Cortaflex Super Fenn powder formulation is now even better. We have enhanced levels of key compounds and nutrients associated with supporting joint health and comfort, including increased levels of the key minerals copper and silicon. 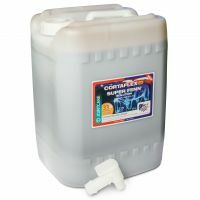 You may notice tiny blue particles distributed through the product – this is the important trace mineral copper, vital for bone and muscle health, and supplied through bioavailable chelated copper. The tiny brown particles are the silicon, supplied as monosilicic acid, which plays a key role in cartilage and bone health. The new formulation also includes an attractive apple aroma!